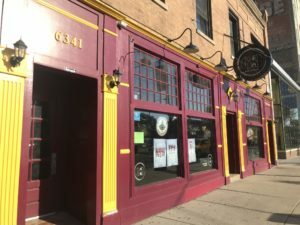 A popular Loyola themed sports bar near Lake Shore Campus in a school-owned building recently had its business certificate revoked by the state of Illinois due to unspecified non-compliance with tax laws. What this means for the long run for Bar 63 — named for the 1963 men’s basketball championship season — is unclear. In the short run, the bar at 6341 North Broadway appears to be closed — or at least is not able to sell anything without risking more penalties. 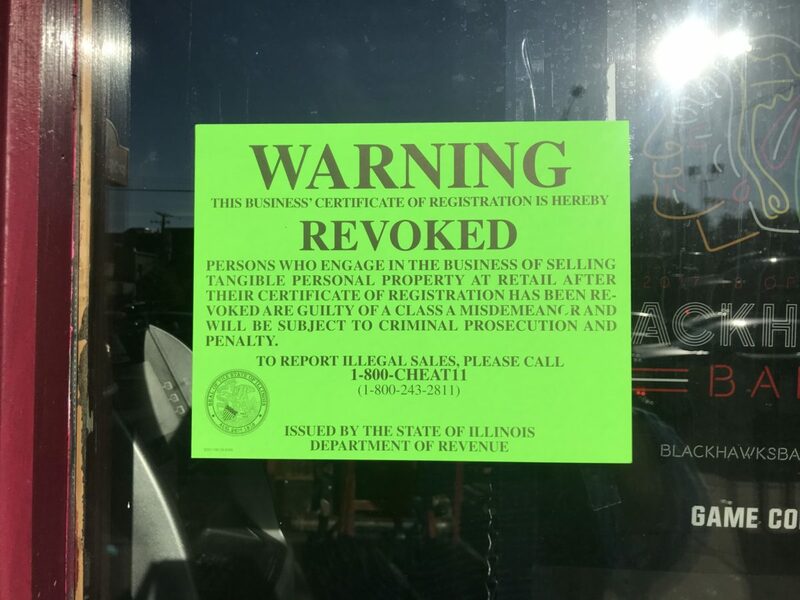 A bright green sign from the Illinois Department of Revenue was posted this week in the window of the establishment. The green sign indicates failure to abide by state tax laws, sources said. 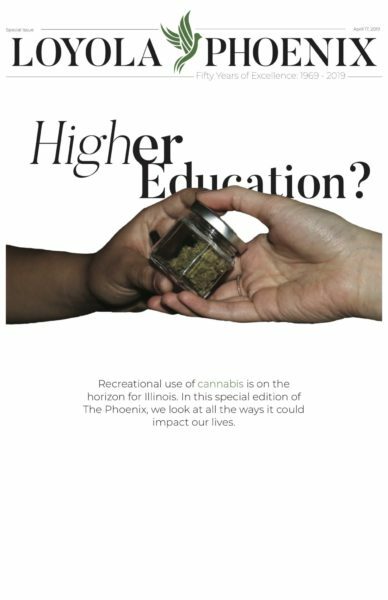 Due to taxpayer confidentiality laws, they said they cannot provide exact details of the revocation. “Persons who engage in the business of selling tangible personal property at retail after their certificate of registration has been revoked are guilty of a class A misdemeanor and will be subject to criminal prosecution and penalty,” according to the sign. 63 has a full bar and a menu which includes traditional bar food, such as chicken wings, burgers, fries and other appetizers, according to its menu on Grubhub. In March, hundreds of Loyola students went to Bar 63 to watch the men’s basketball team during the NCAA tournament, The Phoenix reported. 63 couldn’t be reached for comment by the time of publication.